These statements have not been evaluated by the Food and Drug Administration. These products are not meant to treat, prevent, diagnose, or cure any diseases. All information contained in this site is for reference purposes only and are not intended to substitute the advice given by a pharmacist, physician, or any other licensed Healthcare professional. Naturally Infused, LLC. products have not been evaluated by the FDA and are not intended to treat, cure, prevent or diagnose any diseases. Copyright. All Rights Reserved. Naturally Infused, LLC. Like us & follow Naturally Infused CBD on facebook & Instagram. All of our products in our Store are made with CBD oil derived from Industrial Hemp grown in America. We use a full spectrum oil to give you the most benefits. THERE IS NO THC IN OUR PRODUCTS. Check out our “Naturally Infused Cooks” Page. Featuring - CANNABIS 101 "Where Cannabis and Cooking Meet." Naturally Infused Cooks class: March 9, 2019 4 p.m. 5507 Chaparral Lane Holiday, Florida 34690 Click on our Articles page to see the Health Benefits of all of our ingredients. CBD oil, Sunflower oil, Avocado oil, Hemp seed oil, and hand-picked essential oils. 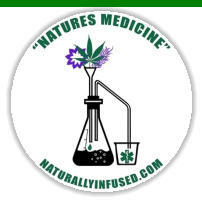 Naturally Infused is recommended by Doctors and Veterinarians! All of our products in our Store are made with CBD oil derived from Industrial Hemp grown in America. We use a full spectrum oil to give you the most benefits. THERE IS NO THC IN OUR PRODUCTS. Check out our “Naturally Infused Cooks” Page. Featuring - CANNABIS 101 "Where Cannabis and Cooking Meet." Naturally Infused Cooks class: March 9,2019 4 p.m. 5507 Chaparral Lane Holiday, Florida 34690 Click on our Articles page to see the Health Benefits of all of our ingredients. CBD oil, Sunflower oil, Avocado oil, Hemp seed oil, and hand-picked essential oils.